Our fresh, super-flavorful take on the classic steakhouse side dish creamed spinach is lightened up juuuuuust a touch. 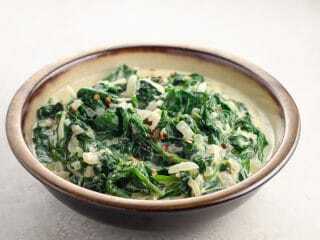 It provides all the savory richness you'll need to satisfy your creamed spinach cravings without any additional heaviness. Try it with small-batch Yukon Gold mashed potatoes or perfect baked potatoes and our filet mignon. This recipe packs a full pound of fresh baby spinach, which is a great vegetarian source of iron. Indulgence never felt so strong. As 20-somethings in late 1990s NYC, we were mildly obsessed with Smith & Wollensky. Their steakhouse creamed spinach was everything. 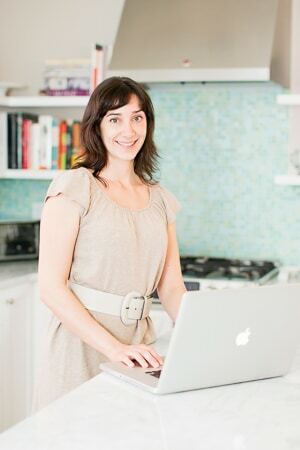 Back then I was happy to pack in like 90,000 calories in a single dinner, and we didn't have kids to support, so both the caloric and actual economics of that situation made sense. These days we much prefer to recreate our even-better version of steakhouse creamed spinach at home. It's quick and easy, a little lighter, and definitely doesn't cost $15 like the original, in case any of those attributes appeal to ya. 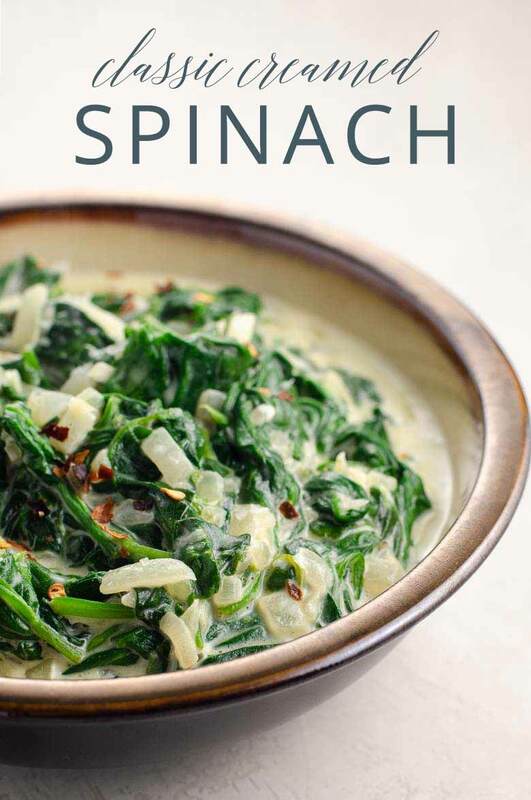 In the truly shocking number of years whisked by since then, we have had LOTS of experience with creamed spinach. Eating, making, meditating upon. We’ve tasted and tested and tweaked. We’ve tried flour- and milk-based sauces, frozen spinach, too much cream and too little. In the end, we always come back to this. It’s the best creamed spinach recipe, packed with fresh baby spinach, and tons of flavor, with just the right amount of satisfying creaminess. It’s fun to be a full-fledged adult and get to do exactly what the hell you want. With spinach. Our fresh, super-flavorful version of creamed spinach takes this classic steakhouse side dish to new heights. 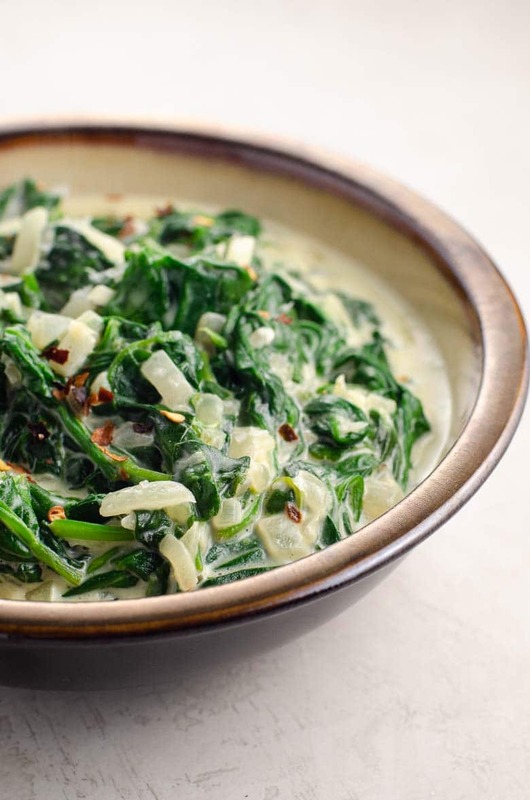 It's exactly as rich and creamy as it needs to be to satisfy your creamed spinach cravings, and not one bit more, so you won't leave dinner feeling grim. Melt butter in a 12-inch frying pan — the bigger the better since raw spinach is huuuuuge — over medium heat. Add onion and garlic and cook, stirring occasionally, until softened but not browned, about 5 minutes. Add spinach by the handful, letting it wilt just enough to make room before adding more. Cook, stirring almost constantly, just until all spinach is wilted. Stir in salt, nutmeg, red pepper flakes, heavy cream, cream cheese, and pepper to taste. Simmer briefly to heat through, and serve.